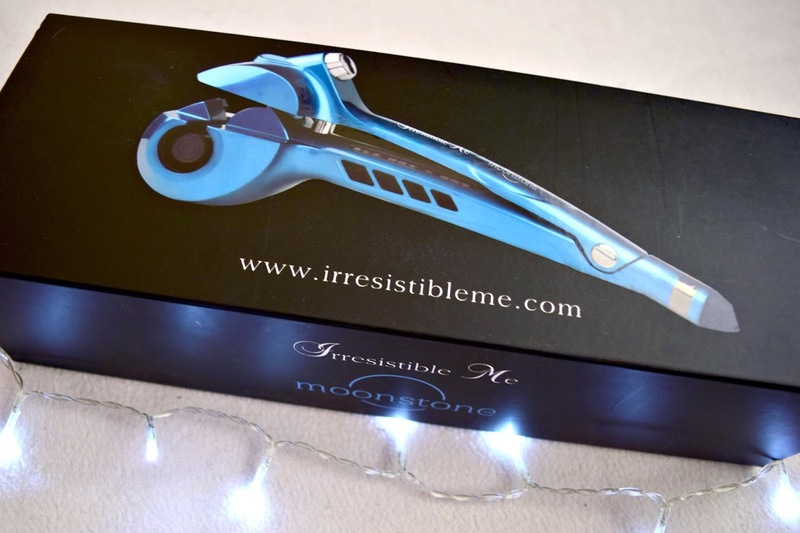 I have never previously tried an automatic curler so I was very excited to try out the Moonstone automatic hair curler by Irresistible Me! I love curling my hair because it’s always nice to have a little more body! So it was great to try out a new way of achieving a full and curly look. 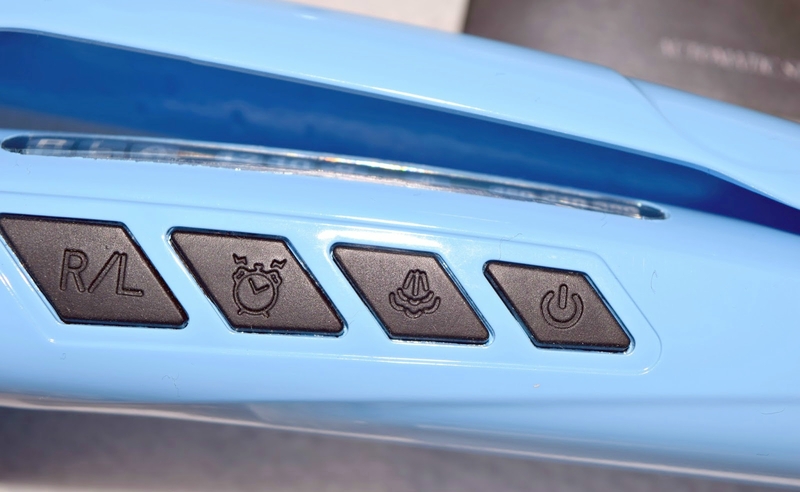 The automatic curler comes with a cleaning brush and a water bottle to add the water for the steaming option. The Moonstone curler comes with an American plug so depending on where you live a plug adapter may be necessary. The hair is automatically drawn into the curling chamber when placed in between the two sections of the curler. When the hair has been heated, the curler will then beep to indicate that the hair is ready for release. Let’s talk about the features! The curler has three temperature settings which you should set depending on the thickness of your hair, I would always recommend starting with the lower temperature and working your way up if needed. A feature which I think is brilliant is the timer, this enables a variety of looks to be achieved, giving either loose beach waves or tighter curls. The curler allows you to set the direction of the curls (left or right) but it also has the option for automatic rotation, left and right, for more of a natural look. (This is the setting that I used!) For hair care, the curler has an optional steam feature which helps maintain the moisture in your hair, a good idea! Once getting the hang of this, I loved the way the curls looked. The possibilities regarding the type of curls that can be created with this product are great. Gorgeous curls are created with minimal effort and that’s always a brilliant thing! As a first timer it took me a little while to get the hang of it, the reason being that having so much hair, I kept putting too much hair in the curler at once. The curler is designed for small sections of hair at a time and therefore my hair got caught a few times. Once I got the hang of this I was on a roll! If you have a lot of hair like me, I would suggest taking your time with the curler. 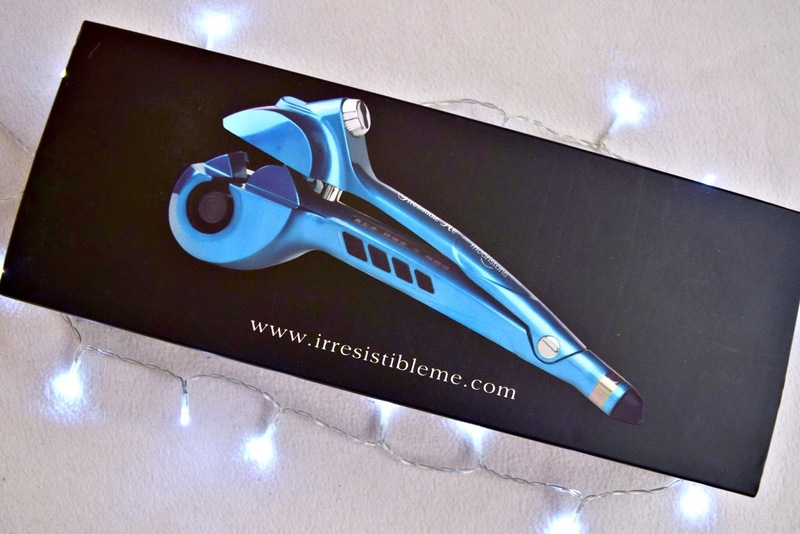 The curls that the Moonstone automatic hair curler creates are glamorous and this product is brilliant to get that volume! This look so nice and makes beautiful curls! Your hair is so pretty. That curling tool sounds amazing. Your hair looks so so pretty! This seems like a great curler. Well how gorgeous did your hair turn out?! Loving this, babe! I like the result! Looks like a try worth! The results are lovely and your hair looks amazing! I love Irresistible Me. I have their extensions. This hair curler looks amazing. Your hair turned out so beautifully! Oh wow, that's really cool! I've never heard of anything like this before! It made it nice and wavy! Your hair looks SO pretty curled! I find it so hard to get curls to stay in my hair, but when I do this is totally my ideal. Gorgeous hair colour, by the way! Thank you so much Kristine! I hope you're having a great week! Oh brilliant, I wanted to try their hair extensions, but they didn't have any the correct colour for the colour that mine has been dyed. Aw thanks Gabrielle! Same here, have t add a little hairspray! 🙂 I hope you are having a great week! Thanks Naomella! Yeah, it was great to finally try it as I know that it had run out of stock a while ago, but they have a lot more now which is great! Curled hair is great fun isn't it!